I've been playing with updated GEDmatch analyzers (of my raw genetic data) and here are some of my results! These results pretty much confirm what I already know about myself - that I am predominantly Northern and Northwestern European. The second image also supports my Anglo-Saxon ancestry as a primary one for me as I am genetically closer to the West German (historical territory of the Angles and Saxons) population than to any other, with Southwest England (the English Anglo-Saxon kingdom) coming in second. Although the next orders vary a bit depending on the type of analysis, then comes the Norweigian Viking contribution. Then comes North Sea Celto-Germanics (Saxons and Celts in the area of the Dutch Netherlands) contribution. Then comes Swedish and Danish Viking contributions. Then comes the Gaelic-Celtic contribution. So, even though my interpretation is simplistic, this explains why I am most drawn to the pantheon of my Germano-Scandinavian ancestry than to any others - I am mostly Germanic (Anglo-Saxon-Scandinavian) with Celtic contributions coming in a close second. I often write about my Saami (Scandinvaian Lapplanders) ancestors, but my U5b1b1-T16192C! motherline is most likely proto-Saami (although my motherline is also found among the Saami without the extra mutation), as most (but not all) modern Saami carry 1 extra mutation at np 16144 that I don't carry. The defining Saami-specific motif mutation at np 16144 is believed to have split off from my motherline about 4000 years before the present. So, my motherline and the Saami (also known as Lapps) shared a common ancestor (and were of a common genetic people) at least over 4000 years ago. This being understood, given the high likelihood that I inherited my short 5'2" stature from my circumpolar Lapplander ancestors, the proto-Saami/Lapps, I decided to evaluate other features of myself I may have inherited from these ancestors. First, my ash blonde hair - while I am also a mixture of Nordic (Germanic Anglo-Saxon-Fennoscandian-Keltic) European racial stocks (where blondism is common), blondism is also found among pure Lapps (without Nordic admixture). When blondism is found among pure Lapps, it is ashen blonde. Ash blonde hair is characteristic of Lapps found in Finland and the Kola Penninsula. Lapp hair is usually thick and wavy, mine is fine and straight - so while my hair color may have come from my Lapp ancestry, it's texture most likely did not. So, it's still unclear to me if my blondism came from my Lappish or Nordic ancestors. Graying comes late for Lapps. I haven't a gray hair on my head yet, even at 53 years old, so this physical trait may be Lappish. Second, my eyes, both color and character - while pure dark eyes are found in Reindeer Lapps and in a few in Norway, fairer light-mixed green-cast brown irises in eyes like mine are also common among Lapps of Finland. (My eyes are lighter than they appear in the attached monochrome photos). Increasingly, based on my Lappish phenotypic traits, it looks like my proto-Lappish ancestors lived in or migrated specifically to the area of circumpolar Finland. Not so much as an adult (though still minimally present), but more pronounced during one portion of my childhood, my eyes have a mild fold of skin slightly above my eyelid (see red arrows in attached photo) - this fold is a Lappish trait - it is not a Mongoloid epicanthic fold which covers the inner corner of the eye - according to Schreiner's detailed study of Lapp craniology, it "signifies that the original ancestral Lapps represented a stage in the evolution of both Upper Paleolithic Europeans and Mongoloids (in other words, the eye fold.characteristic of the Lapps is a trait which developed among homo sapiens predating the racial split between Europids and Mongoloids) .. In view of the Upper Paleolithic white and of mongoloids, this divergence of the Lapps from the others must have taken place as early as the Laufen glacial retreat*. Their area of specialization was presumably Western Siberia. Their specialization there shows little interference (from other genetic groups). From there they spread over Finland and northwestern Russia, then to Scandinavia during the first millennium CE". Scientists further write that "some of the Lappish peculiarities may have been common possessions of the Upper Paleolithic peoples (and) there may have been transitional forms between Lapps and Europeans. In other words, Lapps may represent a pure ancestral form common to all admixed European strains of humanity. *The Laufen glacial retreat refers to the warm phase of the Würm glaciation, the glaciation dated to c. 24,000–10,000 BP (before present). Interestingly, I'm finding that studying racial phenotypic characteristics is a really good way to find out about one's ancestors and ancestral migrations - information can be found in these studies tracing development of racial phenotypes about ancestral migrations that one won't find anywhere else. Some of my STR autosomal DNA genetic results from DNATribes. I have some North African DNA (which is considered to be part of the Caucasoid European - Near Eastern genetic group, see below) and a miniscule amount of DNA from the Horn of Africa (which is considered to be part of Sub-Sarahan Africa, see above). My own North African genetic connection is through the Berber tribe (to which I have distant genetic matches and which are considered to be of Caucasian origin). The Horn of Africa is known from ancient manuscripts to be the original home of the Berbers (Bilad al-Barbar or Land of the Berbers). My Northern European Saami-North African Berber connection (through my U5b1b1-T16192C! genetic motherline is at least 9000 years old, and given that the amount of genetic input I received from the Horn of Africa is very miniscule as compared to the North African genetic input (which is itself miniscule as compared to the pan-European genetic input), I'm guessing that the Horn of African genetic input likely occurred before anatomically modern humans (AMH) left Africa - in other words, before the differentiation of the races as we know them today. At the time anatomically moderns humans were all in Africa, the racial type distinctions we are familiar with today (Caucasoid, Mongoloid, Negroid) did not yet exist. The different human racial types evolved through time as AMH mixed genetically with other archaic hominids particular to their regions of evolutionary development. One cool thing I found by re-examining my African genetic ancestry - by oral family tradition, I have some Native American ancestry, but my specific Native American genetic panel came back all negative, yet evidence for it is here in this chart - my Native American genetic ancestry is seen as Mestizo in the graph, which is a mixture of Native American and European ancestry. Perhaps hybrid vigor (also known as outbreeding enhancement and heterosis) resulted for us from interbreeding (also known as crossbreeding and outbreeding) with Neanderthals (who had bigger brains than did archaic humankind *prior to* the arrival of the Cro-Magnons) - that is, we inherited improved biological traits as a result of interbreeding in this case - but that does not mean hybrid vigor resulted from *every case* of interbreeding. "Not all outcrosses result in heterosis. For example, when a hybrid inherits traits from its parents that are not fully compatible (contradictory instinctive patterns, for example), fitness can be reduced. This is a form of outbreeding depression." There is also such a thing as inbreeding depression. This is why, historically, and even today among many ethnic groups there are strong feelings that children should "marry within the ethnic group" as the norm for the majority of people, and the group or tribe will only accept bringing people of other groups "into the family" (so to speak) who have traits likely to eventually benefit the group as a whole - in other words, those who will contribute good genes to the gene pool of the group. Rare but occasional inclusion of other people into the gene pool is aimed to minimize inbreeding depression and to maximize the possibility of outbreeding enhancement. Especially for ancient peoples, acquiring mates was not about romantic love (a fleeting human experience), it was a social responsibility toward ensuring and improving the survival odds for the group's descendents. It's also possible that the outbreeding enhancement which gave rise to the Cro-Magnons was not due to interbreeding with Neanderthals at all but from interbreeding with some other archaic hominid that existed on a continent that now no longer exists (like Atlantis) or in Doggerland (now submerged under the North Sea). Catch last night's episode of The Walking Dead? I did. In contrast to the season 5 premier episode, last night's episode is one I can relate to as pertaining to the human condition as opposed to a political ideology based on historical half-truths and outright untruths about what happened during world war 2 in Nazi Germany (to which this season's first episode was associated according to the show's producers). War is an ugly thing, but my view of what happened during world war 2 does not match the propaganda as to what happened. I do not demonize it as Hollywood misguidedly does demonize it. That doesn't mean that there aren't people like Joseph Mengele and Levi Aron in the human community, but these kinds of individuals are anomalies, not the rule - even for Nazi Germany. This is why I object strongly to the association the producers of The Walking Dead tried to make with Nazi Germany in the first episode of the season - they maligned the whole human race of homo sapiens by doing that to Nazi Germany. That being said, now on to the second episode. Human cannibalism. I agree that there are people in the human population whose civilized behavior is a facade that can be stripped away - Joseph Mengele and Levi Aron attest to this.The only difference between Mengele and Aron is that Mengele lived in a society broken by war while Aron didn't. Mengele's sickness was enabled by war to escalate, while Aron's was not enabled to escalate in peace time America. Cannibalism is also reported to occur in Africa in recent times - a restaurant in Nigeria was shut down early THIS YEAR for reportedly serving human meat. So, without question, there are people among us who do horrible things to other people. I think the revulsion to eating other human beings is what generally distinguished early modern humans from other hominids now extinct, including the Neanderthals. We know from the archeological evidence that Neanderthals and Homo Erectus were cannibals - they ate members of their own species. We know from the archeological evidence that Neanderthals ate early modern humans. We have genetic evidence that our early modern human ancestors may have also been cannibalistic. But, we changed as a species. We developed a revulsion to this practice of eating other humans and human types. A record of this pivotal change in the direction of human evolution toward social consciousness is preserved in the Jewish Torah in the Noahide laws, one of which prohibits eating the flesh from a living being, and another which pertains to a system of justice. We know that our advantage over Neanderthals and other hominids of prehistory was the penchant of homo sapiens to create social structure and social bonds - to help one another to survive. Social laws help social groups to create a workable society - one where you don't have to worry that your neighbor or comrade is going to eat you instead of the mammoth your group is hunting - it's dangerous hard work to hunt a mammoth - you don't want to have to worry that your hunting partner might decide that it's an easier meal to just spear and eat you. You have to be able to trust the people with you, otherwise the society built to help you survive breaks down and few survive. Neanderthals lived in very small family groups, and though these small groups certainly hunted together, they never managed to create a larger society able to pass on knowledge between social groups. Neanderthals never managed to create this kind of larger cultural society, in my opinion, most likely due to their penchant for cannibalism. You can't trust your neighbor if he might just eat you, so a large society never evolved for Neanderthals. Importantly as well to the development of a social consciousness in early modern human populations is the concept of evolving incarnate conscious awareness in early modern humans as a manifestation of the hybrid-vigor resulting from interbreeding with other human types. I believe that what DROVE US as a unique species toward greater social evolution (in contradistinction to the Neanderthals) was the expansion of consciousness we uniquely acquired from interbreeding. As I posted before, I remember my preincarnate journey into physical incarnation. 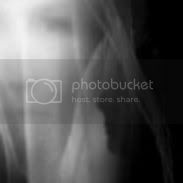 One of my preincarnate memories involves genetic memory - the memory of personal past incarnations, of my own consciousness as an ancestor. Science has confirmed the existence of genetic memory. 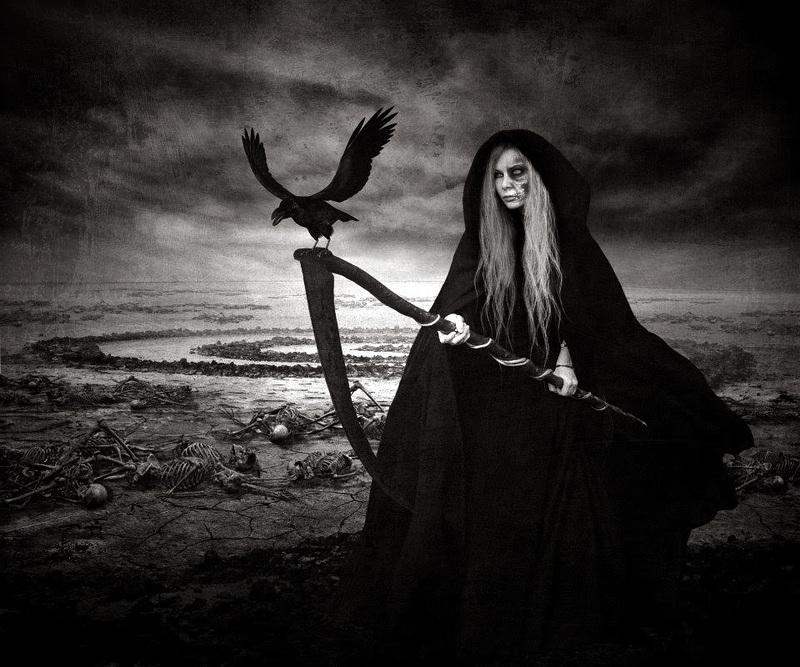 One of my preincarnate memories is of preincarnately SEEING (like the ancestral völva of Germanic folk tradition I wrote about in my earlier post) the violence of archaic human prehistory and the penchant for cannibalism among human types who hunted one another. One memory of mine marks and records the boundary (as do the Noahide laws of Jewish tradition) when I believe homo sapiens as a species developed an evolving conscious social awareness. I believe that Jewish tradition preserved the record of the social structure which early modern humans imposed upon themselves in an effort to create greater social structures to improve survival and quality of life for survivors among our kind. I believe Germanic folk tradition preserves a record of the changes in consciousness which occurred which DROVE the creation of these social structures. Cannibalism is something that cannot exist, it cannot be "rewritten in our memory of experience" to be something other than what it truly is, it cannot become fixed as a permanent feature in our human society because as many of us (the völva and other early modern human seers by other names) reported our memories to our groups in prehistory, "I cannot forget the truth and I will not allow it to continue in my group." Hybrid early humans recorded the WHY we changed, WHY we created laws regulating the behavior of our species. oft not seldom; yet she still lives. ever she was the joy of evil people. Why was she the joy of evil people? Because she turned us from (evil as we judged it for ourselves) cannibalism and drove our evolution (a joy to us) from archaic humans into modern humans. Clan Ursula (mtHg U) - "Haplogroup U is found in 15% of Indian caste and 8% of Indian tribal populations. Haplogroup U is found in approximately 11% of native Europeans and is held as the oldest maternal haplogroup found in that region. A 2013 study confirmed previous findings that haplogroup U was the dominant type of Mitochondrial DNA (mtDNA) in Europe before the spread of agriculture into Europe. The age of U5 is estimated at 30-50,000 years. Approximately 11% of total Europeans and 10% of European-Americans are in haplogroup U5. In 'The Seven Daughters of Eve', this haplogroup, as well as Haplogroup U in general, is labelled 'Clan Ursula'. Sub-haplogroup U5 is believed to be the oldest single branch of Haplogroup U, hence the sharing of the 'Ursula' designation by both groups. Because of that, it is widely believed that it was this branch who then interbred with another ancient European race, the Neanderthals themselves. U5 has been found in human remains dating from the Mesolithic in England, Germany, Lithuania, Poland, Portugal, Russia, Sweden, France and Spain. Haplogroup U5 and its subclades U5a and U5b form the highest population concentrations in the far north, in Sami, Finns, and Estonians, but it is spread widely at lower levels throughout Europe. This distribution, and the age of the haplogroup, indicate individuals from this haplogroup were part of the initial expansion tracking the retreat of ice sheets from Europe around 10.000 years ago." This haplogroup is indigenous to Europe. Clan Xenia (mtHg X) - "In human mitochondrial genetics, Haplogroup X is a human mitochondrial DNA (mtDNA) haplogroup found in Native Americans, Europeans, and Western Asians. Haplogroup X is found in approximately 7% of native Europeans, and 3% of all Native Americans from North America. Overall haplogroup X accounts for about 2% of the population of Europe, the Near East, and North Africa. Sub-group X2 appears to have undergone extensive population expansion and dispersal around or soon after the last glacial maximum, about 21,000 years ago. It is more strongly present in the Near East, the Caucasus, and Mediterranean Europe; and somewhat less strongly present in the rest of Europe. Particular concentrations appear in Georgia (8%), the Orkney Islands (in Scotland) (7%), and amongst the Israeli Druze community (27%). Subclades X2a and X2g are found in North America, but are not present in native South Americans. Haplogroup X is also one of the five haplogroups found in the indigenous peoples of the Americas." Clan Helena (mtHg H) - "In human mitochondrial genetics, Haplogroup H is a human mitochondrial DNA (mtDNA) haplogroup that likely originated in Southwest Asia 20,000-25,000 YBP. Haplogroup H is the most common mtDNA haplogroup in Europe. Haplogroup H is found in approximately 41% of native Europeans. The haplogroup is also common in North Africa and the Middle East. The majority of the European populations have an overall haplogroup H frequency of 40%–50%. Frequencies decrease in the southeast of the continent, reaching 20% in the Near East and Caucasus, 17% in Iran, and Central Asia. Among all these clades, the subhaplogroups H1 and H3 have been subject to a more detailed study and would be associated to the Magdalenian expansion from SW Europe c. 13,000 years ago. Several independent studies conclude that haplogroup H probably evolved in West Asia c. 25,000 years ago. It was carried to Europe by migrations c. 20-25,000 years ago, and spread with population of the southwest of the continent. Its arrival was roughly contemporary with the rise of the Gravettian culture." This haplogroup is the most common haplogroup found among European-descendents today and is indigenous to West or Southwest Asia. Clan Velda (mtHg V) - "Haplogroup V originated in the Near East. Haplogroup V is a relatively rare mtDNA haplogroup found in approximately 4% of native Europeans. Its highest concentration is among the Saami people of northern Scandinavia (approximately 59%), where its divergence time is estimated at 7600 YBP (years before present). It has been found at approximately 10% among the Maris of the Volga-Ural region, leading to the suggestion that this region might be the source of the V among the Saami. Haplogroup V is also found at higher than average levels in Cantabrian people (15%) of northern Iberia, and somewhat lower in nearby Basque people (10.4%). It also is found in particularly high concentrations (16.3%) among the Berbers of Matmata, Tunisia." This haplogroup is indigenous to the Near East. Clan Tara (mtHg T) - "In human genetics, Haplogroup T is a predominately Eurasian lineage. Haplogroup T is found in approximately 10% of native Europeans. Haplogroup T is currently found with high concentrations around the eastern Baltic Sea. The geographic distribution within subclade T2 varies greatly with the ratio of subhaplogroup T2e to T2b reported to vary 40-fold across examined populations from a low in Britain and Ireland, to a high in Saudi Arabia. Within subhaplogroup T2e, a very rare motif is identified among Sephardic Jews of Turkey and Bulgaria and suspected conversos from the New World (Bedford 2012). Haplogroup T is also found in a Svan population from Caucasus (Georgia). Haplogroup T is uncommon in Africa and is absent from most populations there. Its highest frequencies are in two Semitic speaking peoples: the Amhara and the Tigrai." This haplogroup is indigenous to Eurasia. Clan Katrine (mtHg K) - Haplogroup K has an estimated age of c. 12,000 years BP and appears in West Eurasia, North Africa, and South Asia and in populations with such an ancestry. Haplogroup K is found in approximately 10% of native Europeans. Overall mtDNA Haplogroup K is found in about 6% of the population of Europe and the Near East, but it is more common in certain of these populations. Approximately 16% of the Druze of Syria, Lebanon, Israel, and Jordan, belong to haplogroup K. It was also found in a significant group of Palestinian Arabs. K reaches a level of 17% in Kurdistan. Approximately 32% of people with Ashkenazi Jewish ancestry are in haplogroup K. The average of European K frequency is 5.6%. K appears to be highest in the Morbihan (17.5%) and Périgord-Limousin (15.3%) regions of France, and in Norway and Bulgaria (13.3%). The level is 12.5% in Belgium, 11% in Georgia and 10% in Austria and Great Britain. Haplogroup K has also been found in skeletons of early farmers in Central Europe of around 5500-5300 BC. It has long been known that some techniques of farming, together with associated plant and animal breeds, spread into Europe from the Near East." This haplogroup is indigenous to the Near East. Clan Jasmine (mtHg J) -"Haplogroup J colonised Europe from the Near East in the late Paleolithic & Mesolithic. Haplogroup J is found in approximately 12% of native Europeans. Average frequency of J Haplogroup as a whole is highest in the Near East (12%) followed by Europe (11%), Caucasus (8%) and North Africa (6%). Of the two main sub-groups, J1 takes up four-fifths of the total and is spread on the continent while J2 is more localised around the Mediterranean, Greece, Italy/Sardinia and Spain. There is a high (19%) incidence of J1 haplogroup among the Polish Roma ethnic group which is ascribed to the founder effect. Within Europe, J is found in Ireland, England-Wales, Scotland, germany, Russia, Iceland, Austria-Switzerland, Finland-Estonia, Spain-Portugal, and France-Italy." This haplogrop is indigenous to the Near East. So, there you have it - the seven primary ancestral Clan Mothers of people of modern European descent. The Dutch make good on their promise to end multiculturalism ... hail Halland! The Netherlands (also known as Holland, Hoyland and Halland), another one of my ancestral lands, has actively rejected the drive toward the globlaist plan of monoculturalism. Everyone who knows me knows about my claim to conscious experience (and continuous remembrance of this awareness) prior to its firm possession of my physical body a short time after birth. Maybe I remember my experiences of preincarnate consciousness and journey into physical existence, not because of my Neanderthal or Denisovan ancestry (as I've hypothesized before), but instead, I have this anomaly of awareness because I am of the Collins bloodline. My mother's father's surname is Collins and he was a 32nd degree Freemason (often tied to the Illuminati). So it all fits - I am a descendant of the Illuminati Collins bloodline. And even better - the Collins bloodline has more occult power than both the Rothschild and Rockefeller bloodlines - is that not cool or what? So now, I've just got to figure out how to use all of my occult power to wrest control of the world from the Rothschilds and Rockefellers. Now I have no doubt, with these two new synchronous connections to my dream (*students* and the *general name* for my book at first in the dream), that I am definitely on the right track and that my ancestors are guiding me down this path. ... many of the German tribes had legends of a Scandinavian homeland, and many tribes did in fact separate in two groups during the Migration Age (beginning in the second century BC and lasting until the fifth AD), where the second group emigrated to the southeast – which is why Poland was so densely occupied by Germanic tribes. Thus it is entirely possible that we see a Scandinavian and a continental branch of the same original tribe, like we do with the Swedish Götar (Geats, Gauts) and the Central European Goths. Note in the map of Halland, there is a subarea within Halland called Hylte (which links to my feeling that the name was associated with the name Hoyt for some reason. In follow-up to my previous post (Finding My Tribe), maybe the name in my dream was Hoyland (Holland-Netherlands or related to Halland-in Sweden)! I was looking up ancient Germanic tribes and one that caught my attention was the people Hallin (of Halland in Sweden). Looking this up, I came across the information that Holland is also called Hoyland - which fits the letters in my dream really well. The surname Holland is of Anglo-Saxon origin, and is a locational surname deriving from any one of the various places in England called Holland or Hoyland, such as those in Essex, Lancashire, Lincolnshire and Yorkshire. My Dad's genetic I-M223 fatherline is Anglo/Saxon-Viking-Germanic, so Hoyland is a very plausible possible link to the identity of my own ancient tribe. Toponomical surname indicative of ancestral origin in the Dutch region of Holland, the Netherlands, or the English region of Holland (Lincolnshire), or the English towns of Upholland (Lancashire) and Holland-on-Sea (Essex). It is also an Anglicized version of Ó hUallacháin (or Houlihan or Holohan) and is a common surname on the Beara Peninsula in southwestern County Cork, Ireland. It is also found in places where Beara immigrants settled, such as Butte, Montana and southeastern Massachusetts. Also, Holland (the Netherlands) is by the North Sea, and my Dad's I-M223 genetic fatherline is believed by genetic scientists to have arisen in Doggerland which was submerged under the North Sea when the ice Age glaziers melted. It all is fitting together quite nicely! So, my ancient fathers may have migrated from Doggerland into the area we now call Holland (and the Netherlands). 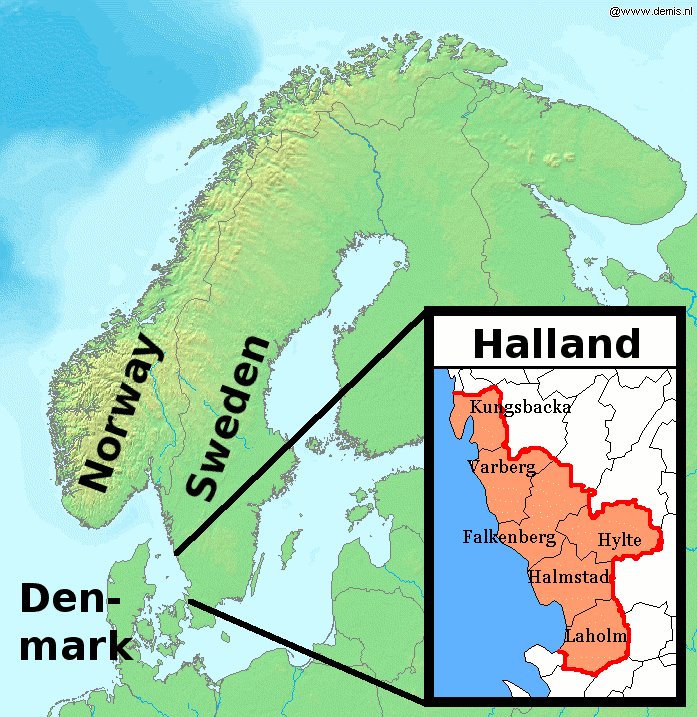 The people Hallin of the area in Sweden called Halland may be related as well. UPDATE - I've found out that in some old surnames, the terminal D is sometimes dropped - that may be why in my dream, I felt the name endsed with an "N", but that there may also have been one more letter that I didn't see (but felt might be present) - the terminal D! HOYLAN was the name of my book! I'm really excited - I believe my ancestors are trying to communicate to me the ancient tribe to which I belong! This is going to be a convoluted post, but I want to explain recent events that have happened (through which the "story of transmission" is being communicated) and also the mechanism by which I think this communication is being transmitted to me so that my experiences and the numinous power through which my "folk story" is being built from connections to these events is given such that recognition among others in my folk may be ignited (to both help me identify my tribe and to help others identify their tribes as well). Before I go into all that, I want to put out there my conclusion - that the ancient tribe to which I belong / come from starts with the letter "H" and also has the letters "O", "L" and "Y" in it, and has a similar number of letters (or one more) in it as does the name "Harlan." I am also associated my tribe's name with the name "Hoyt" for some reason, although the tribal name isn't the name Hoyt (but may be related or similar to the name Hoyt in some way). My tribal name may also have a letter "N" in it at the end, but I'm not as sure about that as I am about the other letters. I am most certain about the tribal name beginning with the letter "H" (so this is likely why my patroness is Hela, and my birth letter is Hagalaz). Maybe something like Holboyn or Hoylbyn (but not necessarily exactly like these, as this full name part is foggy). 4. the Mjölnir Dan Rayner wears on the radio show's program banner - on Dan's facebook page (which I visited after listening to the interview), a commenter on this RedIce program FB post asked where Dan got the hammer he is wearing - Dan hadn't commented yet, but I sell one "similar" (if not exactly like) the one Dan is wearing, so I linked the guy to where (on my website) he can get a hammer like the one Dan is wearing (this highlight's the Law of Similarity or the metagenetic Law of Near Relatedness, as my family most recently came from England as is Dan an English-Germanic person). So, these recent events in my life (as many dreams are constructed from details present in recent life) are the events which held many of the details and the numinous power necessary to fuel the construction of the dream through which my ancestors are trying to communicate to me the name of my ancient tribe. Since historically most tribal affiliations are inherited through the father's line, I am assuming my own tribal affiliation is also one from my paternal ancestry. My dad's surname is Taylor, which is an English occupational surname - where occupational surnames are relatively recent inventions and do not identify the tribe. The tribe is not an occupation, so the name Taylor is not my dad's ancient tribal name - it must be something else other than an occupation (although occupations may be passed down through families as well, so the historical occupational name is not without its own clues). My dream last night was this - I was in a very large university class - like the ones they hold in hall-auditoriums). We all brought a class-book in which to record our work for that class (like a lab book and/or a grimoire). The book each of us brought was named, each one we brought had a general name that could fit many people. My book (at least after I had recorded my work in it) had a general 4-word name - at first. After everyone had done the work for the class, we recorded our work each in our own book - only I ended up with a general book that another woman had brought into the class (as I had) and another woman ended up with my general book. It was the way it was supposed to be - the woman who had brought the book I ended up with had a different book now - we were all happy with the books we ended up with (the one in which our own individual works had actually been recorded). We were to each be graded on the work in our book by the professor of the class. We all got into a line to make our appointments with the professor to have our class work graded - and as we did this, the names of our generally named books changed (at least mine did I know). As I neared the front of the line of students waiting to make appointments with the professor, the male "secretary" helping the professor to make the appointments for work-grading called out for the student with the booked named "Harlan" - I opened the front cover of my book to look again at the name of my book (which had been 4 words) - it had changed to a 1-word name. My book's name definitely started with the letter "H" and had the letters "O', "L" and "Y" in it and was similar in the total number of letters (or maybe one more letter, as I wrote earlier) as the name Harlan. It was something like Hoylbyn or Holboyn. So, does anyone reading this know of an ancient tribe among our Northern European folk with a name like this? I watched Conan the Barbarian last night before I went to bed. Conan the Barbarian is a movie based on the sword and sorcery stories of Robert E. Howard. There is magic in that saga, for after I watched the saga, I dreamt an "another story" hinted to at the end of the movie as to how a "Conan"-figure became king by his own hand ("but that is another story"). The gist of my dream. It was a very cosmic-feeling, symbolic and archetypal dream. At some point in the past, my true identity hidden, I had become pregnant with the prince's (the Conan figure) child. It was otherworldly how it happened, and I really can't explain how, as soul mates, this had been accomplished, but nevertheless, I was pregnant with the king-heir-apparent's child and he didn't know it was me who he had lain with (although I knew it was me who had lain with the king to be). Actually, neither he, nor anyone in the kingdom, the king included, knew it would be me who was mother to this star child of the Cosmos. They all thought it was someone else, someone with a known pedigree. I had no known pedigree to anyone's knowledge - my pedigree was hidden, like was Seigfried's (as he was fostered by a dwarf blacksmith after the death of his father). The royal family had waited a long time for "Conan" to father a child, for this person who had been chosen for him had been barren for long years. Finally it was signaled in the stars that now a child had been conceived (of "Conan's line) who would make "Conan" king (as Conan could only inherit his father's throne and become king after he fathered a child). Everyone thought it was this other woman who had finally conceived. But it was not, it was me. I knew it. Just as the Cosmos had revealed the conception, so too did the Cosmos compel that which played out next. Just as was "Conan", I was lifted into the Cosmos to meet "Conan" - we were to fight one another in hand to hand combat. As I ascended, I was transformed into a shining Valkyrie, with a shining sword and shining winged helmet (just as was the woman in the movie). I was to fight my match, "Conan". Only after battling one another to stalemate, would our union be sealed. As I was ascending, I knew everyone else expected this other woman to meet "Conan" on the Cosmic field of battle, but they were all going to be shocked (as would be "Conan") when I arrived. Interestingly, a few days ago (July 10 to be exact) before I watched this move, I created a new oil for my witchcraft shop called STAR CHILD.What an awesome precognitive synthcronicity! I dreamt of Odin this morning. This was the first dream I've ever had where the figure of Odin appeared to me as clearly identifiable as the Odin of my people's collective consciousness (as opposed to appearing as someone uniquely fitted to my personal consciousness). He appeared as the dark-cloaked figure similar to in the image above. Right before I woke up, after a few other preceding dreams, my dreaming consciousness turned toward the center of my home. 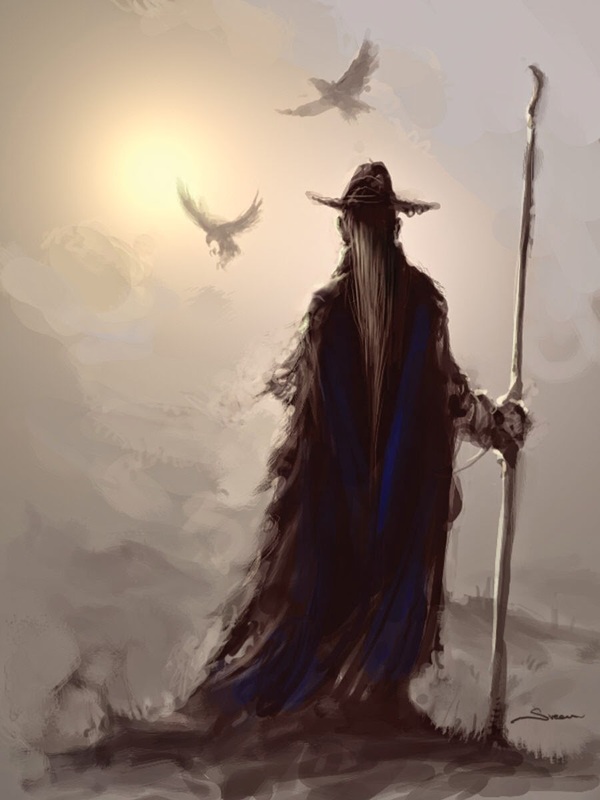 No one was present there but my own consciousness watching in the dimness of the pre-dawn light as Odin stood up, just like in the image above, as if he had come to a decision, was making judgment, and was acting in his role as the warrior-shaman-ruler of gods and humankind. He was making a statement, rendering his judgment. Immediately after he finished standing up, his judgment rendered, I woke up in the light of day to the cha-ching sound (notifying me of another sale at WITCHCRAFTS ARTISAN ALCHEMY®) coming from my cell phone resting on my bedside night stand. I reached over and picked it up, checking my email as to the sale I had just made. In the sale among the items purchased was my WARRIOR SEAHORSE talisman (for unmatched success and powerful protection), my KEY TO THE CROSSROADS (Witch Queen) oil, my BAT'S BLOOD (Hex Reversing) oil and my CHARMING (Good Fortune) oil. In the sale's 'note to seller' from my customer, it was written, "Lori, you are an artist! These things are so beautiful." I take that as a compliment from and the judgment of Odin (the bringer of victory) as well! 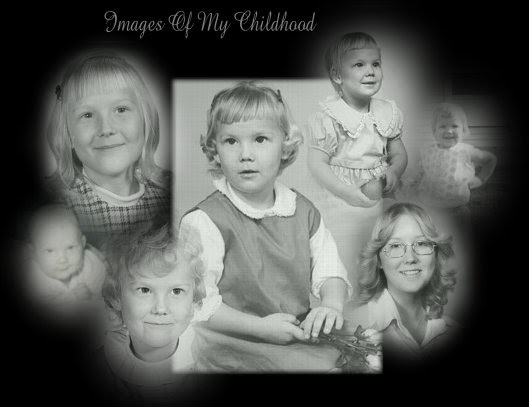 This article (Research explains why you can’t remember being a baby) discusses new research claiming to explain infantile amnesia - the reason why babies can form but later forget memories formed in childhood - you know, that thing that doesn't apply to me (and to a few others too), as I do still have memories of my babydom - including memories I formed in my brain regarding my experience of preincarnate consciousness. They claim infantile amnesia directly results from rapid neurogenesis as children grow. But, that can't be true, because I'm pretty sure my childhood "rapid neurogenesis" proceeded along just fine similarly to other children. If this rapid neurogenic phase has any impact on intelligence, then the scientific hypothesis definitely can't be true as presently understood. I have above average intelligence, graduated valedictorian of my class several times and have been in accelerated academic classes all of my life. My parents were approached when I was in grade school to advance me up a grade, but they wouldn't do it because they thought it would hurt my social development. So, I'm damn smart - suggesting my childhood "rapid neurogenic phase" went along just fine. So, if rapid neurogenesis has any influence on the phenomenon of infantile amnesia, it is pretty certain in my mind that it isn't solely responsible for it. I even wrote a story about 20 years ago of the first memory I formed in my brain! I still remember it. I've retitled the story several times over the years, but the original title is A Story of Quantum Consciousness. In an earlier post, I noted that some researchers place the evolution of my Dad's I-M223 ancestral genetic fatherline in Doggerland (Europe's Atlantis now submerged under the North Sea). The best living candidates for Doggerland haplogroups seem to be I2a2a-Cont, including its British subclade I2a2a4-Cont2c; I2a2a-Roots, including its British subclade I2a2a1-Isles; and I2a1b2-Isles, which has a continental cluster "B." All of these are split between the continent and Britain and have TMRCAs that allow for them to be dated to Doggerland. I2a1b1-Disles/Dinaric and I2a1c1-Western are also possibilities, although they present more complicated pictures. In the old phylosystem, my dad's I-M223 haplogroup is called I2a2a-Cont (he is in the Continental Group 1 also known as Cont1 at Family Tree DNA). He doesn't have the mutations for any of its native British subclades. So, when my ancestral fathers left Doggerland, it looks as if they didn't move toward the isles, but toward the continent instead - most likely Northern Germany - Netherlands - Denmark -Southern Sweden areas. All of these areas are consistent with known general genetic matches for my Dad's Y-DNA haplogroup. In my Dad's I-M223-Cont1 Group 1 at FTDNA (where individuals in the greater I-M223 haplogroup are further subdivided based on each person's specific results into marker-clustered groups), there are 18 gentlemen from Ireland (including 3 specifically from Northern Ireland), 4 from England/UK, 2 from Germany, and 1 each from Scotland, Netherlands, Croatia, France and South Africa. There are 7 unknowns. Well, the current location of my Dad's closest genetic brothers is consistent with what is known via oral family tradition about my paternal family's origins - English, Irish and German. From the numbers though, it looks like the ethnicity of the recent ancestors in my Dad's paternal line are Irish, English and German. Given that my Dad does not carry the native British M284 mutation for the I-M223 Hg, and that the M284 mutation arose approximately around 300 BCE during the Iron Age, then it's very likely that my Dad's paternal line migrated to the isles long after Doggerland became submerged, and probably did migrate to the isles during the Anglo-Viking invasions. I've written before (Archaic Consciousness) that in one area of brain function, I may actually be more like my Neanderthal and pre-modern human ancestors, than I am to most other modern humans. So, I am learning about what is known about the ancient wisdom of my archaic hominin ancestors as compared to modern humans (who are are hybrid species of at least Cro-Magnon, Neanderthal and Denisovan humans). 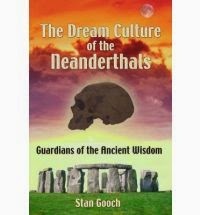 This book is really awesome ... some interesting stuff here, so interesting in fact, that I bought another book by this author, "Neanderthal Question" which is on its way to me. I am even more convinced as I read this book that the Neanderthal genes I have in me have indeed found phenotypic expression in the way my own brain works. While, according to this book, most people of Northern European descent are thought to be the most "pure" Cro-Magnon type of modern human, it may be that my own Northern-Northwestern European ancestors differ a bit from the norm, or that the genes that I did inherit from my archaic hominin ancestors are phenotypically active in me as opposed being phenotypically inactive as in most other Celto-Germanic-Fennoscandian people. My father's Y-DNA test for Native British SNP M284 came back negative. So, Dad has now tested negative for all known subclades of I-M223. M284 is the I-M223 marker indigenous to the British Isles and is found exclusively in Britain. Now it is confirmed that my Dad's genetic fatherline is not native to the British Isles. With all of the other negative results so far, it is looking that my Dad's genetic fatherline is most likely ethnically Anglo-Viking and native to the area of Northern Germany, Southern Sweden and Doggerland. My Dad's genetic fatherline most likely came to Britain during the Anglo-Viking invasions. When people remember the past, they don’t only talk about happiness. It is often the ordeals that seem most significant. People shoot for happiness but feel formed through suffering. Now, of course, it should be said that there is nothing intrinsically ennobling about suffering. Just as failure is sometimes just failure (and not your path to becoming the next Steve Jobs) suffering is sometimes just destructive, to be exited as quickly as possible. But some people are clearly ennobled by it. But the big thing that suffering does is it takes you outside of precisely that logic that the happiness mentality encourages. Happiness wants you to think about maximizing your benefits. Difficulty and suffering sends you on a different course. First, suffering drags you deeper into yourself. The theologian Paul Tillich wrote that people who endure suffering are taken beneath the routines of life and find they are not who they believed themselves to be. The agony involved in, say, composing a great piece of music or the grief of having lost a loved one smashes through what they thought was the bottom floor of their personality, revealing an area below, and then it smashes through that floor revealing another area. (Suffering people) can’t determine the course of their pain, but they can participate in responding to it. They often feel an overwhelming moral responsibility to respond well to it. People who seek this proper rejoinder to ordeal sense that they are at a deeper level than the level of happiness and individual utility. The right response to this sort of pain is not pleasure. It’s holiness. I don’t even mean that in a purely religious sense. It means seeing life as a moral drama, placing the hard experiences in a moral context and trying to redeem something bad by turning it into something sacred. Recovering from suffering is not like recovering from a disease. Many people don’t come out healed; they come out different. THE ALIENS IN THE FAMILY, our cosmic family. In our physical bodies, we experience only a tiny fraction of what we are. WE are children of the Cosmos. Among researchers studying UFO phenomena, alien encounters are classified according to the perception of the individual experiencing the encounter. People who have negative contact experiences are called abductees. People who have contacts which are neither negative nor positive are called experiencers. People who have positive contact experiences often report experiencing GALACTIC CONSCIOUSNESS. Contact with positive extraterrestrials is a situation wherein an alien and a human agree to work together. The agreement is made before the human comes to this planet. Contact is made for a specific purpose and only when the time is right and the contactee is ready. There is every effort by the positive aliens to avoid causing fear. At no time is the contactee’s free will in jeopardy as the contactee may end this agreement at anytime. It is interesting to note that in the case of positive ET encounters, that the initial contact was made with the individual prior to incarnation on this planet. ... inside our body, a genome is a genome is a genome. Scientists believed that they could look at the genome from cells taken in a cheek swab and be able to learn about the genomes of cells in the brain or the liver or anywhere else in the body. In the mid-1900s, scientists began to get clues that this was not always true. In 1953, for example, a British woman donated a pint of blood. It turned out that some of her blood was Type O and some was Type A.
Chimerism, as such conditions came to be known, seemed for many years to be a rarity. But “it can be commoner than we realized,” said Dr. Linda Randolph, a pediatrician at Children’s Hospital in Los Angeles who is an author of a review of chimerism published in The American Journal of Medical Genetics in July. In other cases, two fertilized eggs may fuse together. These so-called embryonic chimeras may go through life blissfully unaware of their origins. One woman discovered she was a chimera as late as age 52. In need of a kidney transplant, she was tested so that she might find a match. The results indicated that she was not the mother of two of her three biological children. It turned out that she had originated from two genomes. One genome gave rise to her blood and some of her eggs; other eggs carried a separate genome. Women can also gain genomes from their children. After a baby is born, it may leave some fetal cells behind in its mother’s body, where they can travel to different organs and be absorbed into those tissues. “It’s pretty likely that any woman who has been pregnant is a chimera,” Dr. Randolph said. As scientists begin to search for chimeras systematically — rather than waiting for them to turn up in puzzling medical tests — they’re finding them in a remarkably high fraction of people. In 2012, Canadian scientists performed autopsies on the brains of 59 women. They found neurons with Y chromosomes in 63 percent of them. The neurons likely developed from cells originating in their sons. In follow-up to my previous post, I want to quickly post that I drew my first family rune in tonight's nightly rune drawing - it's Othala! So perfect! In it's form, Othala clearly contains 3 additional runes - kenaz (torch), ingwaz (seed) and gebo (gift). 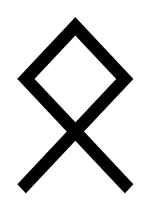 Two of the three additional runes (torch and seed) represent my genetic U5b1b1 motherline and I-M223 fatherline respectively, extending back and forward through all time. The two continuous lines of Othala (and my motherline and fatherline) intersect in gebo (gift) and kenaz (torch), giving birth to all that I am and raising up in me creative illumination - a gift to me from my ancestral mothers and fathers, those past, those who are, and those yet to be. My first family rune surrounds with sanctity all of my ancestries and spiritual inheritance clear back to the beginning of life itself and forward into the future. It is not simply Celtic, Germanic, Slavic or any other ethnicity - it is the fundamental living essence of consciousness. I just had the coolest idea! 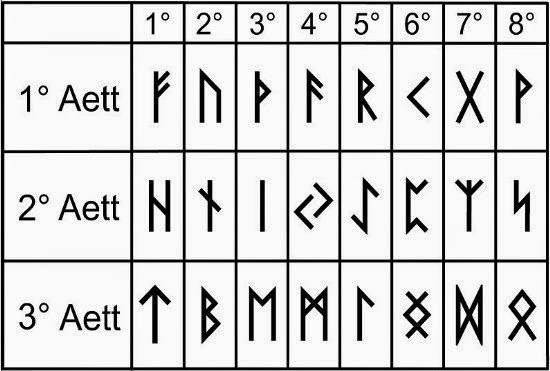 I am going to take the three aettir of the futhark (the 3 rows or families of runes) and link them to my 3 primary ancestral ethnic families! Now, I am saying right from the get-go, this is my own personal gnosis. I make no claims that what I am going to do applies to everyone. This is my personal path, blazened toward the knowledge I am seeking within the depths of my own soul and kinfolk Folksoul. The first aett (which I consider to be the eldest) I assign to my likely eldest European roots - my Slavic ethnicity. The second aett goes to my ancestral family between my eldest and youngest European roots - my Germanic ethnicity. The third aett goes to my youngest European roots - my Celtic ethnicity. As I learn more, I will weave together my families by linking each rune also to one of my ethnic roots. I will evaluate each rune independent of the family aett it is in, thus weaving together the runes and my ethnic families. Who knows, maybe some runes will be wildcards from one of the smaller ethnicities found in my genetic ancestry. The future is open and I'm anxious to see what I will discover about myself and my tribes as I do this. I'm taking a new turn in my own soul crafting. New genetic Family Finder results from Family Tree DNA have come in for me (they update results when new techniques become available, see my previous post for the graph), showing my autosomal ancestral ethnicity to be at least 16% Central European - in places like Slovakia, Hungary and the steppes of Russia in other genetics results - and up to 21% adding in my Finnish Saami results (who closely share genetic roots with the Slavic peoples). While my ancestral ethnicity is predominantly Celtic-Germanic (31% and 35% respectively), both my ancestral genetic motherline (U5b1b1-T16192C!) and fatherline (I-M223) have deep Slavic roots, as do the Saami - making my Slavic ethnic ancestry to be at least 21%. The large majority of my ethnic ancestry I now know to be Germanic, Celtic and Slavic. Given this, I now am calling myself a Celtic-Germanic-Slavic heathen witch. I need to find out more about Slavic folkways, so the future holds a turn to discover the folkways of my Slavic ancestors . At this point, I know very little about Slavic paganism, but new offerings in my witchcraft shoppe for this tribe of my family are in the works. A pretty complex task, but I'm sure I'll be able to weave all of my ancestral streams together quite nicely in my own soul crafting practice. After all, it's who I am, and I think I am woven together very well. In follow-up to my previous post (From the Race of Ancient Stones, linking the mysteries of Newgrange to my experience and remembrance of my preincarnate existence), it is relevant to the ideas expressed in that post (that pre-modern humans experienced consciousness differently than do modern humans, and that the modern human brain functions in some areas to screen out perceptual data that may have been perceptible to pre-modern humans) is the fact that scientists tell us that the reason for a long childhood in modern humans (in contrast to Neanderthals and other primates, for example) is to enable our large brains to continue to grow outside the womb for a significant period of time (a large brained modern human baby could not pass through it's mother's birth canal, so it has to finish growing its brain outside the womb). Consequently, this means that the brains of human children are not fully developed at birth and continue to grow throughout childhood. This biological fact supports the possibility that the modern human brain's "perceptual screening capacity" has not yet developed in babies at birth and only develops as modern humans grow through childhood into adulthood. This may be why children can still easily relate to the subtle worlds that adults cannot perceive (as the adult brain has developed its capacity to screen out perceptual data as a function of modern human biological processes). If all of the above is true, then it stands to reason that genes at some level influence the development of the modern human adult brain's screening capacity. In modern human adults with unusual experiences and remembrances of other kinds of consciousness then, it may be that genes that control development of this biological screening function in the modern human brain are atypical in outliers like me. My brain never fully "turned off" my ability to relate to and remember other kinds of experiential consciousness (as children typically "turn off" and don't remember most of the experiences of childhood). Unlike most people, I also can remember events I lived through as a baby (as well as experiential consciousness prior to physical incarnation). So, in this area of brain function, I may actually be more like my Neanderthal and pre-modern human ancestors, than I am to most other modern humans. Additionally, while my own experience of consciousness clearly informs me that consciousness is fundamentally independent of physical existence (including the brain), consciousness is nevertheless influenced by the limitations of physicality once it becomes tied to physicality as a function of incarnation. My 100% European Ethnicity that reflects up to the last 2,000 years (about 80 generations). In follow-up to an earlier post (Soul Saga), in considering the origin of consciousness and my ability to remember events of my existence prior to physical incarnation, I've come to the temple mound of Newgrange, a construction of my ancestors. In addition to the fact that on the longest night of the year (the winter solstice, hence my connection to the goddess Hela, and shedding light on the memorial line in my Soul Saga poem "in this darkest place"), I have learned that within the inner chambers of Newgrange are carved stones grouped together in groups illustrating in stone cell divisions seemingly symbolic of genetic reproduction following fertilization of an egg by a sperm as my poem and memory Soul Saga also describes). The long entry passageway from which light enters the mound of Newgrange on the longest night of the year symbolizes the reproductive process of fertilization of the egg, suggesting that conscious memory of these pre-incarnate events may have been common among my ancestors, namely, my ancestors who built Newgrange. That these processes of the beginning of human organic life are clearly evident in the symbolism of Newgrange, underscores for me (like for the author of Ireland, Land of the Pharaohs) that the creators and builders of Newgrange experienced consciousness unlike modern humans (nearly all modern humans that is, excluding those who, like me, carry memories of preincarnate existence). In the book The Origin of Consciousness in the Breakdown of the Bicameral Mind, the idea is posited that modern ways of thinking are rather recent in the evolutionary history of humankind. Ancient humans experienced consciousness much differently. Neuroscientists also posit that the modern human brain functions as a screen of information. In addition to enabling the human mind to focus thought more effectively into a single unified stream of consciousness, the modern human brain filters out a mass of deeply intuitive and sensual information potentially available to conscious perception that would otherwise bombard us (a mass of potentially perceptible information which would make narrowly focused modern human rational thought difficult). In other words, our modern human brain screens out things we might otherwise perceive so that modern humans are more rational and consequently, less intuitively cognitively perceptive to our full environment. Taking all of these facts together, and given the fact that my modern human ancestors are ethnically 100% European according to my most recent autosomal Family Tree DNA results, and that both my genetic Doggerland fatherline and motherline are indigenous to Old Europe (all genetic data further supporting the antiquity of my ancient European roots and connection to Newgrange), I am thinking that the reason that I can remember preincarnate existence is linked to the idea that my brain may phenotypically express (normally dormant) ancient characteristics of the pre-modern European human brain - one which does NOT filter out the kinds of perceptions and memories which may have been common among my ancient ancestors - the ancestors who commonly experienced incarnate memories of preincarnate existence as evidenced by the temple of Newgrange. I may write more on this later when my mind is refreshed, as I've been up all night thinking about this, and need to get some sleep now. Historical Doggerland stretched from Britain's east coast to the Netherlands and the western coasts of Germany and Denmark in the area now under the North Sea. The founder of this marker lived somewhere in the northwestern regions of the European continent, perhaps even in what seems a very unlikely place: the bed of what is now the North Sea. At the time of the great post-LGM European expansion of 15,000 years ago, there was no North Sea. Instead, there was a flat grassy plain stretching all the way from England through southern Sweden, Denmark, Germany, Frisia and Holland across the North Sea. In fact, had they wished, our forebears could have walked in a straight line all the way from Berlin to Belfast, although they seemed to prefer wandering along beaches. 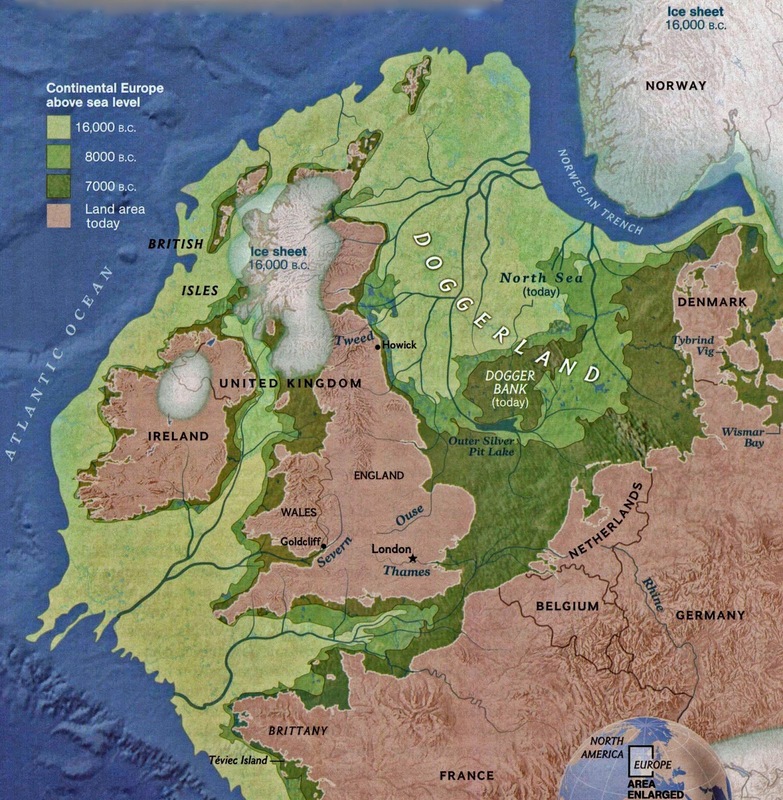 Doggerland would have covered an area about the size of England, a tundra landscape across which vast herds of reindeer and horses plodded, where salmon spawned in its prolific rivers. As the climate warmed, oak woodland colonized the valleys and hills. Red deer, roe deer and wild pig replaced the barren-ground reindeer. It remained an ideal hunting ground. Around the shores there is still plenty of evidence of these coastal changes: waterlogged stumps of prehistoric trees in the Thames estuary, or Cardigan Bay, where the sea has drowned magnificent ancient forests. Today about 25 percent of all northwest European men are members of this haplogroup. The lineage has three primary sub-clades, and each one is prominent in a different geographic location. How cool! My Dad is a real Atlantean!